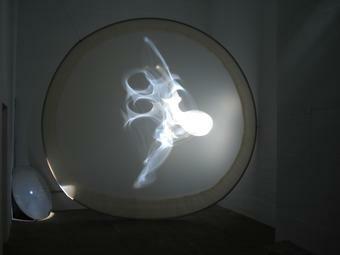 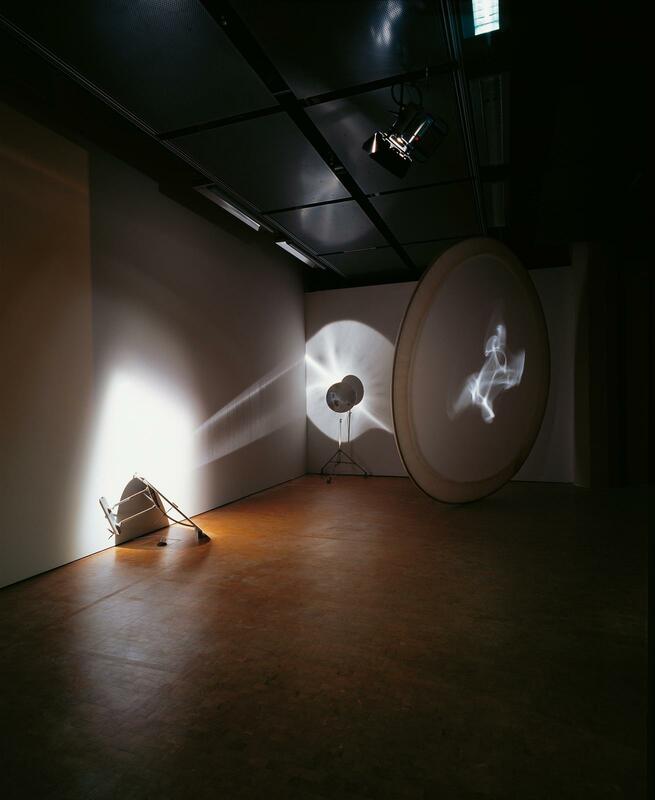 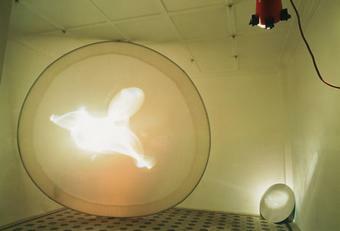 A spotlight hanging from the ceiling of a darkened room casts light onto a concave mirror located on the floor in the corner of the exhibition space. 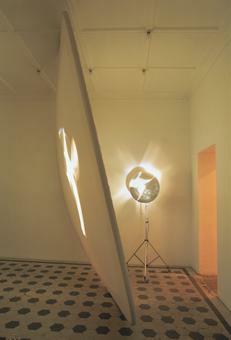 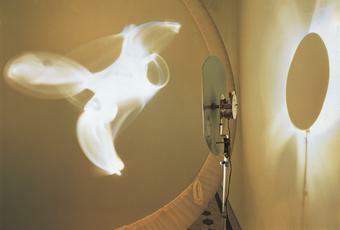 The mirror directs a shaft of light onto another mirror, rotating on a tripod. This mirror completes a full revolution in 30 seconds, reflecting, as it revolves, an irregular splotch of light onto the reverse side of a round projection screen, which is fixed to the ceiling at an angle and runs down to the floor, blocking the space.